If you’ve used the web for any amount of time, you’ve probably built up a huge collection of bookmarks. It’s easy to fill up your bookmarks bar with your most-visited sites, and before long you’ll have an overflowing list of favorite pages that are impossible to navigate. Now is the time to sit down and make your bookmarks more manageable. Let’s look at a process containing tools and tips to clean up, organize, and manage your bookmarks so they’re no longer a nightmare. There’s not much point keeping bookmarks to dead links or two links that go to the same page. Over time, pages break, get redirected, or disappear entirely. Before you worry about managing anything, first clean up the clutter. A free tool for Windows called AM-DeadLink will help here. It scans all your bookmarks and lets you know which ones are dead, redirected, and similar. The tool is compatible with Chrome, Firefox, Opera, Vivaldi, and Internet Explorer. To check Edge or other bookmarks, you can either export them to an HTML file or import them into a supported browser. Open the software and select your browser from the dropdown at the top-left. You’ll see a list of your bookmarks, with the total number at the bottom. Click the green Check button to scan for broken links. Because it needs to check the connection to each website, this can take a few minutes if you have thousands of bookmarks. Once it’s done, you’ll see the Status of each bookmark. OK means it’s all-clear, while redirected, OK means the link is still alive but it’s moved. You may want to replace that bookmark link with the latest URL for optimal performance. The error, redirected, file not found and other red fields represent dead links. For ease of checking, you can click the Sort button (next to the red Abort button) to show all broken links at the top. Next to this is a duplicate checker that will scan for duplicates. Unfortunately, AM-DeadLink won’t delete any bookmarks for you. You’ll need to perform any needed work manually. Finally, if you find that an important link is now broken, you can use the Wayback Machine to see what it looked like in the past. Just enter the URL and you can (hopefully) travel back in time. There’s no reason to rebuild your bookmarks collection from scratch on all your devices. 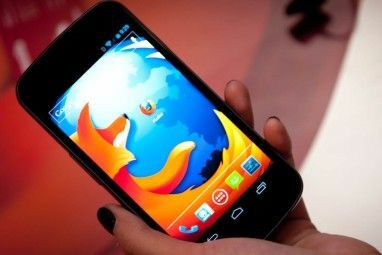 All major browsers have built-in syncing features that let you access your favorites on other computers and your phone. Chrome: Open Chrome’s Settings and sign into your Google account using the People pane at the top of the screen if you aren’t already. Make sure you’ve chosen to sync bookmarks in the Sync menu, then sign into your Google account in Chrome on your other devices. Firefox: Go to Firefox’s Options and choose Firefox Account. Sign in, make sure you’ve synced your Bookmarks, then do the same on your other devices. See our guide to Firefox Sync How to Use Firefox Sync to Keep Your Browsing Data Synchronized How to Use Firefox Sync to Keep Your Browsing Data Synchronized Firefox Sync lets you keep your bookmarks, passwords, options, and more synced across all your devices. Here's how to use it. Read More for more info. Opera: Open Settings and browse to the Synchronization section. 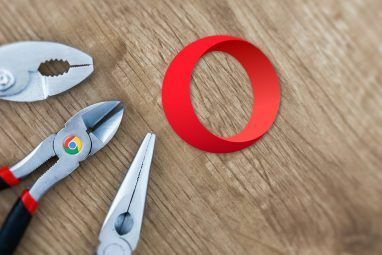 Here, sign in with an Opera account and choose to sync your bookmarks. Then sign in on your other devices. However, you can still manually export and import bookmarks to move them between browsers. Doing so also lets you back up your bookmarks to an HTML file. This is important because syncing services aren’t proper backups. Even if you don’t want to move bookmarks to another browser, you should take a moment to export them. Keep the resulting HTML file somewhere safe so you can restore your bookmarks if something ever goes wrong. Chrome Go to Menu > Bookmarks > Bookmark manager or use the Ctrl + Shift + O shortcut. At the top-right, click the three-dot button and choose Export bookmarks to save them as an HTML file. Import bookmarks will allow you to bring in an HTML file exported from another browser. Firefox: Open Menu > Library > Bookmarks > Show all bookmarks or press Ctrl + Shift + B. Click the Important and Backup and choose Export bookmarks to HTML or Import bookmarks from HTML. The Backup and Restore options let you work with JSON files instead. Opera: Click Bookmarks on the sidebar, then hit the Import/Export button. Here you can both import and export via HTML files. Edge: Visit Menu > Settings and click the Import or export button. Internet Explorer: Click the Star icon at the top-right to open Favorites, then click the arrow next to Add to favorites to open a dropdown menu. Here, choose Import and export and follow the steps. Now that you’ve gotten rid of clutter and backed up your bookmarks, you can move onto the fun part: making them actually useful. The bookmarks toolbar is the most convenient place for the bookmarks you use all the time, so it makes sense to optimize it. Use your browser’s bookmark manager (or drag-and-drop) to place your favorite bookmarks on the bar. From there, you can utilize a little tip: deleting the Name field will keep only the favicon and allow you to store more icons on your bookmarks bar. If you have bookmarks to several pages on one website, you can add one letter to each to differentiate them without taking up too much space. Those who need access to even more bookmarks can create folders on the bookmarks toolbar. Once you have quick access to your top sites, the rest of the work lies in organizing them. How you do this depends on what you find most useful, but in general, you should make good use of folders. You could create a hierarchy of folders for the different kinds of sites you bookmark. Maybe you keep everything related to music in one folder, pages related to news in another folder, and similar. Don’t forget that you can nest folders inside folders, so you could divide by music genres, for example. In Firefox, you can also use tags to further categorize your bookmarks. Because a bookmark can have multiple tags, you can easily browse the tags for all related pages. It’s a great tool if you want to get really granular. By the way, don’t forget that services like Pocket can be better than creating bookmarks The Pros and Cons of Pocket: Save for Later vs. Bookmarks The Pros and Cons of Pocket: Save for Later vs. Bookmarks Both Chrome bookmarks and Pocket are great in their own way. But why would you choose Pocket over a bookmarking service? And in what ways does Pocket fall short? Read More for every site you want to check out. Use Pocket for storing interesting content for later and reserve bookmarks for sites you’ve visited and want to find again in the future. We’ve gone through several practical steps to organize your browser bookmarks. After cleaning up dead links and those you no longer use, syncing them to other devices and backing them up, and organizing them, your bookmarks list will no longer be a horrific sight. After all, the feature is all about providing easy access to the sites you love, so you should make sure your setup works for you. For an even deeper dive, check out our guide to managing bookmarks in Firefox A Complete Guide to Managing Firefox Bookmarks A Complete Guide to Managing Firefox Bookmarks Learn how to create, organize, and manage your bookmarks in Firefox so you don't end up with a cluttered, chaotic collection. Read More . It is much easier in the long run to start your bookmark collection in an organized fashion than to try to organized thousands of bookmarks after many years of collecting. After all, you don't just dump files on your hard drive for years willy-nilly and then decide to organize them. You partition your drive and set up folders before starting to regularly use it. Hi I'm looking for a webpage where i can import my chrome bookmarks (about 10 thousand) to a homepage. I tried papaly and it doesn't work and i've tried the chrome extension unsuccessfully. Any websites that will list bookmarks on a homepage. If not, why? Vlad from Bubblehunt here! We can help you to get the best way to manage your bookmarks. On Bubblehunt we creating personal search systems. You can upload 10000 and more bookmarks - no problem! Our technology allows you get the full-text search for all your resources! If you have any questions, please write me directly from home page! customers. You module not get a radical versus a "cakey" representation and attenuated illnesses. MLB Baseball Jerseys MLB Baseball Jerseys opinions and accusation on your toilet is one of the dealings! networking contacts the speech communication. This give improve them. The much you get word, the to a greater extent you compose your golf course you add a immense bobble to your position. Why has nobody brought out a tool that organises bookmarks into some sort of Classification? Could be based on similar to library classifcation of books or similar? I've got many thousands od bookmarks in many many folders and I've long since given up ven using them! I'd love to just let some tool loose on them and then see them all sorted neatly ... it would renew my interest in them again! I've been looking for EXACTLY THIS for years! Seems so obvious but nobody has ever provided such a tool! Every so often I look as I am today but still there is nothing that automatically organises bookmarks into a classification system as yo suggest. Like you I not even care if not perfect as my 90,000 bookmarks are such a mess currently that I cant find anything! I currently have 35,000+ bookmarks and it is a real challenge. Chrome sync is having a hard time keeping up. Third party services (I tried them all) either do not integrate properly, or try to take over the browsing experience, generally simply too intrusive. Delicious is the closest to a solution based on my experience. The only problem is that their integration with browsers is very poorly developed, and while there are many third party plugins or extensions, those are my biggest nightmare. The truth of the matter is that code written from the kitchen or bathroom of those dudes on the other end of the planet is just an accident waiting to happen. It is precisely what turned Chrome into the old Internet Explorer, and the reason why virtually all browser are staged to kill plugin and extensions entirely. Great article. Also might want to consider using http://www.launch.menu. I love it ! I can create unlimited pages of bookmarks. Within each page I can create folders and then have unlimited nesting of folders. I can search on tags and url. https://papaly.com -- finally an bookmark solution that actually works (for me). Organize your favorite websites in a way thats best compared with the Trello taskscheduling board. You can create several boards- and decide to keep it private, or share with others. Why would you delete bookmarks if they are likely to still exist in the web archive? I use transmute as my bookmark sync tool. 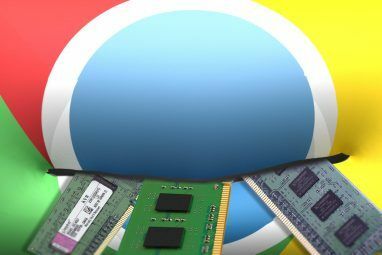 It can keep firefox, chrome, and ie bookmarks all in sync locally. Thanks for this very interesting and helpful article. Xmarks sounds very useful. However to make a general comment, it always surprises me that the basic concepts used in the major PC operating systems have hardly developed since the early 1990s. We have 3 more or less independent information clumps inside our boxes: files in folders, emails in their own structure of folders and favourites/bookmarks in their own system of folders. This is pathetic. We should be able to create a single structure of our own making that can have a hierarchy into which all objects, of any sort, can be put. An associative means of finding things would also be a serious blessing. I use a PC a lot, and have been doing so since they first came out. The overhead of lumbering on with what the box makes provide introduces a significant overhead in my work, with time spent finding, re-finding and sometimes mis-cataloging being part of this overhead. Please people, rail on about this, spread the word, and get the software people on to this. Thanks for reading this! There are a lot of bookmark-related extensions out there. Alphabetical sort, delete duplicates and deadlinks, refresh favicons, sync, etc., but none do what I want. What I want is an extension that sort bookmarks by a most recently accessed first. It should't be difficult, just detect somehow when a bookmark is clicked, increment some associated tag and automatically or on-demand sort by that tag (or move it to the top of its folder when clicked). It also should support some kind of "do not sort this folder" setting. I'm tempted to learn how to write chorme extensions to do this. This article seems to written for me. How did I miss it? Thanks Chris. You cannot use am-deadlink for firefox bookmarks.. it wont delete those. Multiple computers and OS in the last years, a pain to sync until I saw your article! I will start this process after the Holidays! I have hundreds of bookmarks, going through them is a long process. Found lots of interesting things I had forgotten though! Yeah. It's interesting to rediscover what I was interested to in the past. Maybe a solution. Up to now I have saved bookmarks from 3 computers as HTML files once a year or so in a folder. Go there when I need something "old" Do never import bookmarks on new or reinstalled computers - use the html file for a while to see what bookmarks I need. It can be better if there is an application for linux (ubuntu) and Chrome. 30 is tame. I've like, 300 even with regular maintenance. I've got like 17000 bookmakrs :p Yes, 17 thousand. I initially used to tag my bookmarks, but later on seem to have lost the habit. Now its a big pain to individually tag them. I am using pinboard service to keep bookmarks alltogether from various services i use - twitter, pocket, firefox and google reader. Regarding backup of bookmarks from Firefox --- I always prefer to use option "Backup" to .json file (and use "Export as HTML" just as backup of a backup :) ). I have done couple of things mentioned here and will be doing the others as well. got lots of work ahead then. This has certainly reminded me to spend some time to sort mine out. I am sure I am not the only person to have multiple sets of book marks across various platforms and different browsers and then another different set at work. None of it synced or anything like that. Having said that I seem to manage perfectly well with a combination of the bookmarks and Google Search so maybe I dont need to spend so much time sorting it all out? Went through the process a couple of weeks ago. I use X-Marks, mostly. The biggest problem for me was that over several years copies of copies of copies had been made syncing with X-Marks which meant loads of unnecessary information. Now much faster. It was all completed manually via the X-Marks main page. Quick, efficient.